Although an email system seems the same on the outset, there are in fact multiple ways your business can send and receive email. The main protocols are POP3, IMAP and Microsoft Exchange. With the ever-growing need to access your emails/contacts and calendars from multiple devices i.e. a desktop PC, a tablet and a smartphone a more robust fully synchronised solution is required. 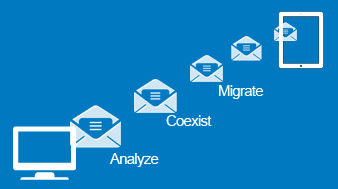 Computer Nerds offer the the most reliable email solutions on the market, we can carry out an email migration without impacting your business. We carefully plan and build your new email platform in parallel with your current system ensuring all of your existing data is copied across and checked before switching over. 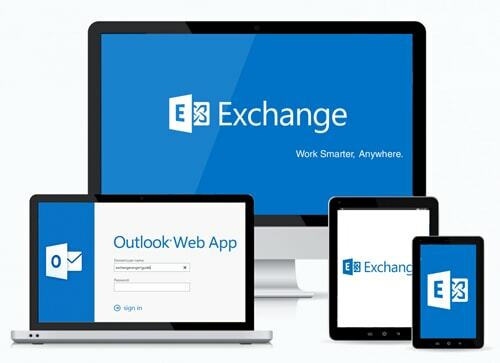 We can provide your own on-premises Microsoft Exchange 2013 server or a fully hosted Microsoft Exchange 2013 platform in the cloud. If you need help with an email server migration or hosted email migration then please give us a call.